Y'all, it has not stopped raining in Portland! This past Monday was the wettest day in the HISTORY of the city! Highways were shutdown, the city was totally flooded, and they had to pump water from the parking lots at my office! But, that's totally okay since I've been swamped by Sundance Film Festival prep. Ryan and I managed to get outside for a period of about 15 minutes last weekend and enjoyed the beautiful Christmas lights around downtown Portland. 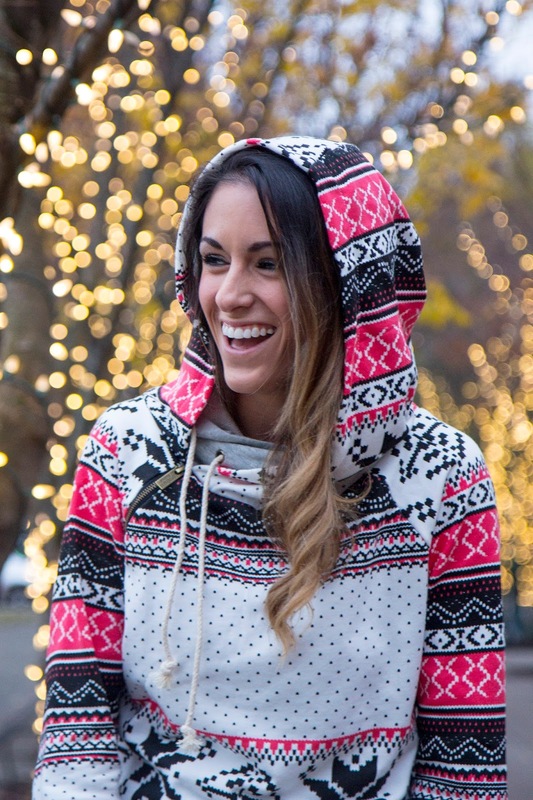 I made sure to wear my holiday hoody from Mindy Mae's Market, whom I originally found on IG, and fell in love with. (I will use any excuse to wear this thing!) I had to add this piece to my holiday wardrobe ASAP. 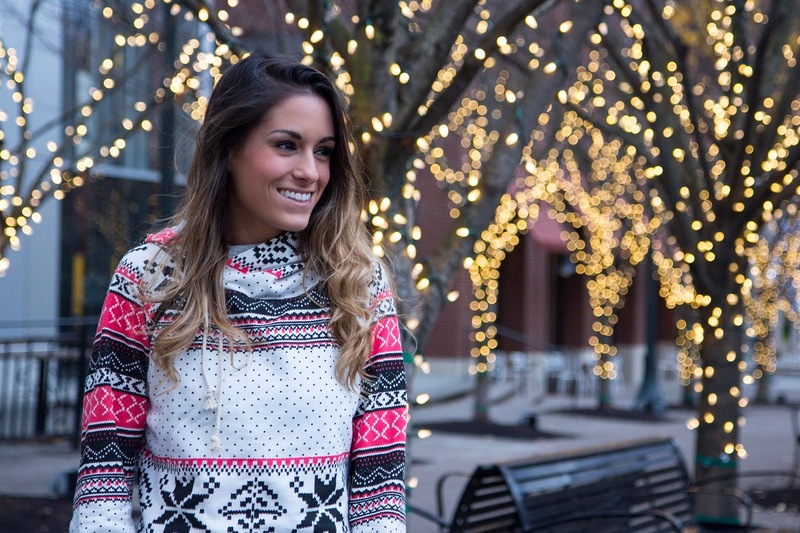 It's the perfect blend of tacky sweater meets cozy winter top. A-symmetrical zipper, FTW! The best part? It matches PERFECTLY with my SOREL Meadow Lace Bootshttp://bit.ly/1P1b36G.